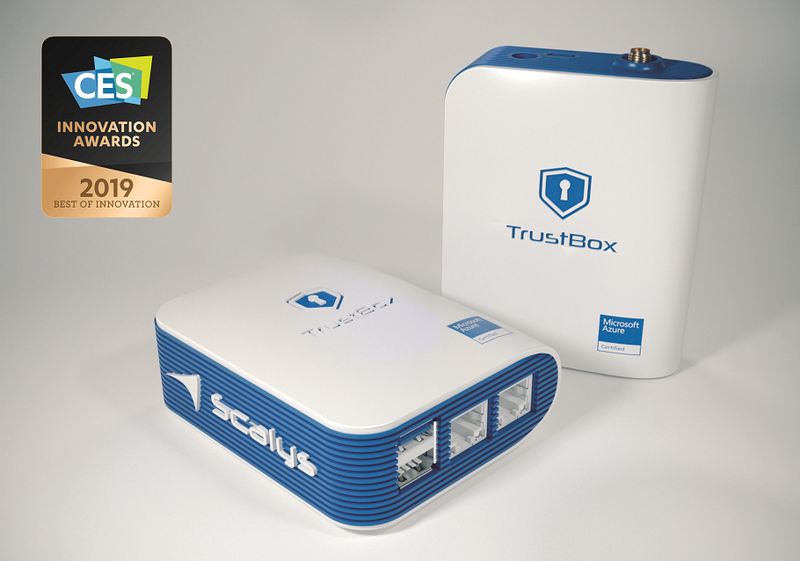 Press Release (ePRNews.com) - HENGELO, Netherlands - Dec 03, 2018 - The Scalys TrustBox is a high-grade secure router & IoT gateway for safe and trusted communication with the connected world. It secures the communication and connectivity of connected devices up to a military grade of security. Combining high throughput with hardware hardened security features into one device, the TrustBox provides a secure internet connection experience whether it is used on-the-go or at home. Securing IoT is complex and needs to be addressed at every layer. We are focused on addressing IoT security of the whole solution – from chip to software and the cloud. TrustBox’s highly secure hardware, along with the Open Enclave SDK provided by Microsoft, complements the secure software in Microsoft Azure IoT Edge and connects safely to Microsoft Azure IoT Hub and other Azure cloud services. Scalys offers a unique set of High-Grade Secure Communication solutions and products. We create enterprise-class performance and security, combining leading technology with innovative design concepts to modernize and secure the communication of connected devices. CES® is the world’s gathering place for all who thrive on the business of consumer technologies. It has served as the proving ground for innovators and breakthrough technologies for 50 years-the global stage where next-generation innovations are introduced to the marketplace. As the largest hands-on event of its kind, CES features all aspects of the industry. Owned and produced by the Consumer Technology Association (CTA)™, it attracts the world’s business leaders and pioneering thinkers. The CES Innovation Awards are based upon descriptive materials submitted to the judges. CTA did not verify the accuracy of any submission or of any claims made and did not test the item to which the award was given. For further information please contact Roland Santegoeds, Communications Manager.